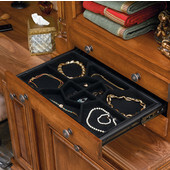 These Jewelry Armoires by Rev-A-Shelf have pivoting action which allows you to access either the 30" mirror or the various storage compartments. 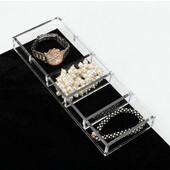 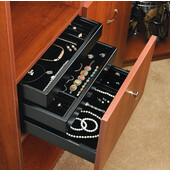 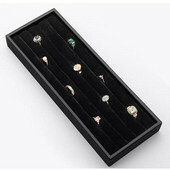 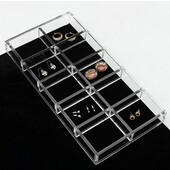 The design of these jewelry armoires is convenient and easy to use. 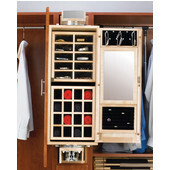 The armoires are constructed out of Birch and Maple wood and have velvet lining. 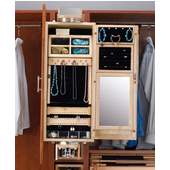 These jewelry armoires measure 8" W x 16" D x 42" H and fits into an 8" opening between two 16" depth closet panels. 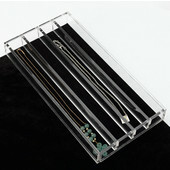 Ships via UPS/FedEx Ground.